In its latest effort to curb online video piracy, streaming security company Irdeto examined at the payment systems that make the area so lucrative. 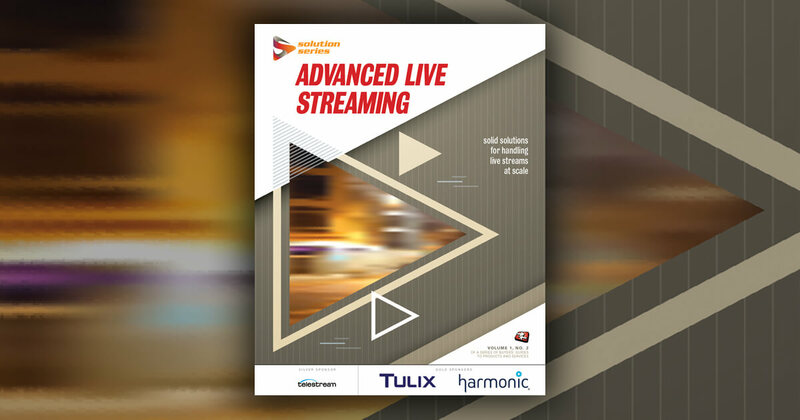 Today's pirates create alternate streaming platforms that look so convincing that many consumers think they're paying for a legitimate service. Those services get paid with the help of well-known institutions. 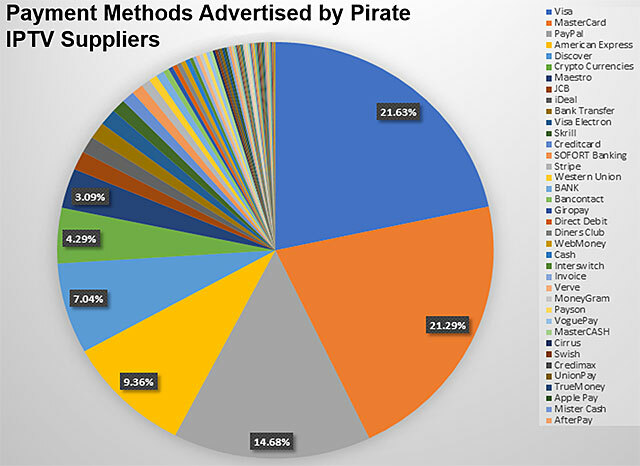 For its study, Irdeto surveyed over 400 pirate sites and tabulated the payments systems each accepts. Visa made up 21.6 percent of all the payment systems listed, and MasterCard 21.3 percent. Those two were followed by PayPal (14.7 percent), American Express (9.4 percent), and Discover (7.0 percent). See the pie chart below for the full list. In a blog post, Mark Mulready, vice president of cybersecurity services at Irdeto urged the media organizations being pirated to put pressure on payment companies to stop supporting pirate platforms. 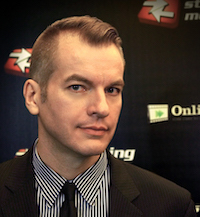 In an interview with StreamingMedia.com, Mulready identified next steps. "We are engaging at industry level with multiple major payment providers and have provided them with data on the scope of piracy across their payment services," Mulready said. "The plan is to aggregate the industry data in order to obtain a complete picture of the problem and then continue to work with the payment providers where possible to put in place effective steps to combat the use of their payment services by pirate IPTV supplier sites. We believe that it takes a collaborative effort by the entire media and entertainment industry to effectively fight piracy." When asked if Irdeto has already confronted payment institutions or is still gathering information and industry support, Mulready declined to answer. Eliminating payment options from major companies would have a dramatic impact on piracy, he believes. While pirate sites would still be able to use cryptocurrencies or more obscure payment platforms, mainstream consumers aren't familiar with those options. "When combating piracy, it is critical to disrupt a pirate’s business model. Eliminating the option to use major payment service providers in order to conduct their illegal business will do exactly that by preventing them from reaching a wider consumer base," Mulready said.